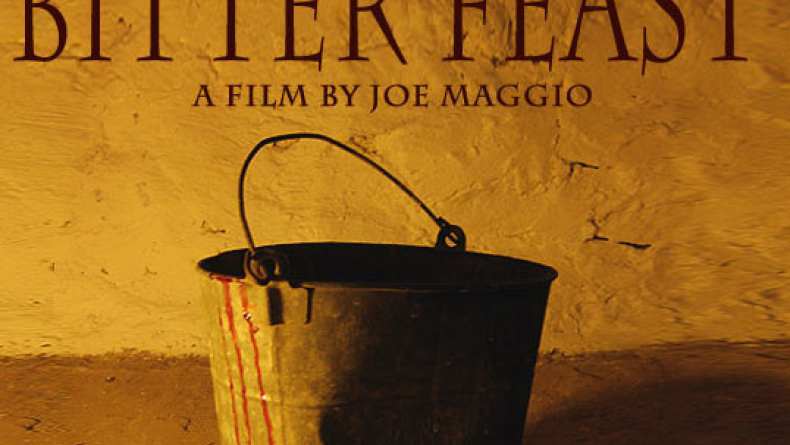 The teaser trailer for Bitter Feast. An over-zealous television chef (Peter Grey) kidnaps a powerful and notoriously snarky food critic (J.T. Franks) after a particularly nasty review delivers the final blow to Grey's already plummeting career. Sequestered deep in the woods of the Hudson Valley, Grey keeps Franks chained up like an animal, presenting him with a series of deceptively difficult cooking challenges - from eggs over easy to precisely grilled steak medium rare - punishing him brutally and sadistically for anything less than total perfection. An exploration of the creative impulse gone awry, Bitter Feast is a horror film for the latent foodie in all of us.